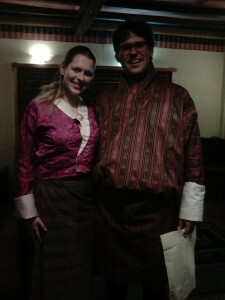 We had a wonderful honeymoon experience in Bhutan. We had made a very tight schedule because we wanted to go as far east as possible in 5 days. Our guide & driver ensured that we didn’t feel rushed and we took the time to visit fortresses, monasteries and spot the Cranes. They also adjusted the schedule where necessary. We found Bhutan to be a big experience indeed!, with very helpful and kind people.